Exporter of a wide range of products which include faceting machines. We are providing high quality tube forming machines which are highly used in the jewelry industry for the tube forming, cutting and bending etc. These machines are highly competitive and can be availed at industry leading prices. 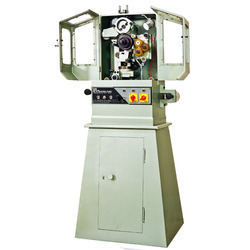 We are the leading Manufacturer and Exporter of Faceting Machines in Coimbatore, Tamil Nadu,India. Looking for Faceting Machines ?